Touted as a glamorous nightlife destination, with design inspired by the look and feel of a 19th century European bordello. The CatHouse Nightclub Las Vegas has closed on Monday November 5th 2012. 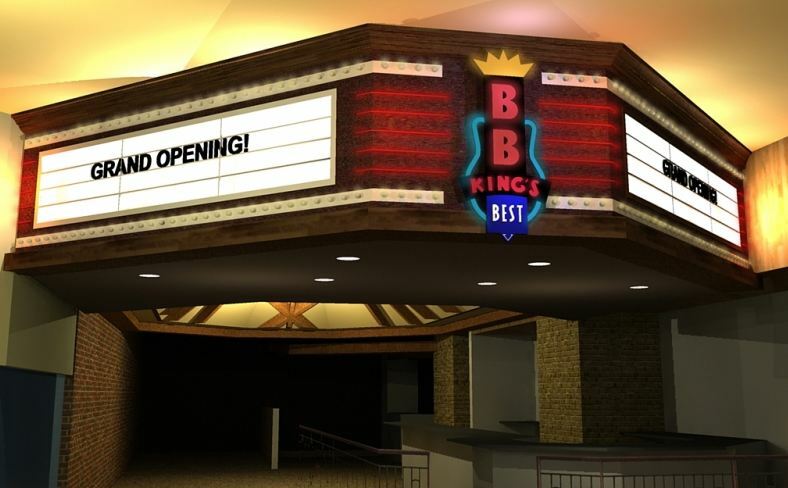 BB King’s at the Mirage Closing, Picture credit from the www.bbkingclubs.com website. B.B. King’s Blues Restaurant & Club will be closing at the Mirage on Nov. 18 2012. The owner of the restaurant filed for Chapter 11 in 2011. Since that time the Restaurant and club has not stayed current and still owes the Mirage $114,000 in unpaid debt. A court ruled that The Mirage was able to keep the money that was billed to the guests room in-order to pay-back the debt. The room charge collection has not been enough to pay back the debt and the Beale Street Blues Company Las Vegas LLC, has said there isn’t enough cash flow to keep BB King’s at the Mirage from closing. The economy parking at McCarran International Airport has been increased from $8 to $10. Clark Department of Aviation states that the cost of the shuttle-bus service was more expensive to operate. There was talk of building a parking garage, but the upfront cost of that was too expensive and running a shuttle service was going to be cheaper in the long run. The airport is not going to close the lot until a resolution for the employee parking is figured out. Two months every year the Traub’s residence in Anthem Nevada becomes an amazing tribute to Halloween. With animatronics and motion activated statues this four-bedroom and bathroom houses comes to life. In a recent interview with the residents of this house they reveal that during this time there is not a single white light bulb in the house. The entire house is stripped down and replaced with a red or orange bulb. This display has been going on for three years now and gets bigger and bigger each year. A demon baby crawls on the bannister in Vonny and Grant Traub’s house that has been decorated for Halloween Friday, Oct. 26, 2012. The third and final Hangover movie will be filming this weekend in parts of Las Vegas, including the Strip and Caesar’s Palace. Keep your heads up and be alert if you’re in the area! 72 hour sale going on right now with starting rates from $79.00 a night. MUST book by 10/21/2012 the two resorts you are eligible to stay at are the Red rock Casino Resort and Spa and the Green Valley Ranch Resort and Casino. 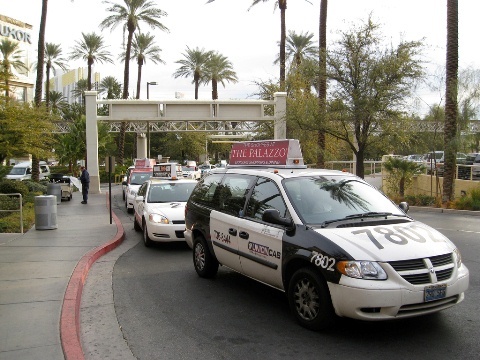 A Las Vegas taxi driver found $221,510 while cleaning and vacuuming out his van last month. Adam Woldemarim, the driver, discovered the cash stuffed in a soft laptop case that was left between the seats of the Virgin Valley Cab vehicle. Woldemarim turned it in, then was lucky enough to be rewarded with $2,000, about a 1% tip for his services. Well one way to look at it is; Adam must of been real glad his wife made him read these vacuum reviews, which in turn made him clean his van in time, before a client scored the cash! The winner had just won big at the Wynn and forgotten the cash in the case on the way to the airport. All good deeds go rewarded in this case! Rick, Corey, the Old Man and Chumlee … are all getting their asses sued by their ex-manager, who claims he discovered the “Pawn Stars” and made them famous … only to get stabbed in the back. The man behind the lawsuit is Wayne Jefferies — who claims he found the guys from Gold & Silver Pawn back in 2007 and got them a reality TV show deal with A&E and the History Channel … after Rick had struck out in the past. Jefferies claims things were going great for years — with the show killing it in the ratings and the guys all cutting various endorsement deals … including credit cards, slot machines, books and even an energy drink. But according to the suit, things fell apart earlier this year .. when network honchos became upset over a story Jefferies claims he leaked to TMZ. The story detailed how the “Pawn Stars” cast was blindsided when they learned A&E had commissioned a “Cajun Pawn Stars” spinoff. In his suit, Jefferies claims network execs pressured the “Pawn Stars” cast to cut ties with Jefferies … which they did. Jefferies is now suing the “Pawn Stars” guys for breach of contract … and he’s also suing A&E, the History Channel and various execs for interfering with his management deals. Jefferies is asking for unspecified damages. Calls to the Pawn Stars and the networks have not been returned. Eight years in the making and a year of construction the MGM Grand is near total completion of the $160 million renovation and opens up the new Skyline Terrace Suites this afternoon. These huge two-story suites will go for about $725 a night and includes a huge 780-square-foot patio overlooking the Vegas Strip. The suite includes a glass staircase, huge windows for your viewing pleasure, and a sound system that will hook up to any MP3 device and play everywhere in the suite, including the shower. MGM Grand is also opening its “Stay Well” rooms. These are similar designs to other hotels rooms but the “Stay Well” rooms include features such as a sunrise simulator, and blue lights in the bathroom to help people overcome jet lag….or help them wake up after a late night of partying. A big section of the Las Vegas Strip will be closed due to construction of the Linq project. Most of this construction will be show a future spot in Caesars Entertainment grounds. Starting Tuesday May 1st vehicles will no longer be able to access the Imperial Palace from Las Vegas Boulevard. Caesars officials have also announced that the Rockhouse bar will be closed permanently. Rockhouse bar had plans to re-merge in side the Miracle Mile Shops at Planet Hollywood but thanks to twitter its new home will be inside the PBR Rock Bar.